Testosterone is the number one anabolic steroid, also known as the father of all anabolic steroids. If anabolic steroids could be defined in one word, it would be: Testosterone. Anabolic steroids are more broadly defined as synthetic derivatives of the male hormone Testosterone. Although they could all essentially be considered and labelled as Testosterone, they possess different modifications on their respective chemical structures, which are all essentially the steroidal chemical structures of Testosterone. It is labelled as the father of all anabolic steroids because without the existence of Testosterone, no other anabolic steroids would exist. Testosterone is one of three endogenously naturally manufactured and naturally occurring anabolic steroids within the human body: Testosterone, Dihydrotestosterone (DHT), and Nandrolone. These three anabolic steroids are naturally occurring within humans and animals, while all other anabolic steroids currently known are more or less synthetic modifications of these three anabolic steroids. However, it should be made perfectly clear that Nandrolone and Dihydrotestosterone, although they are naturally occurring, are metabolic byproducts of the metabolism of Testosterone. Without Testosterone, these two hormones would not exist. 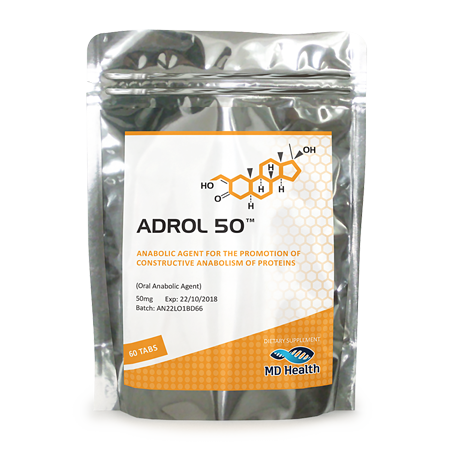 Dihydrotestosterone is a reduced form of Testosterone, which the 5-alpha reductase (5AR) enzyme is responsible for when Testosterone passes through certain key tissues in the body. Nandrolone is a byproduct of the aromatization of Testosterone into Estrogen. Therefore, we can easily see how Testosterone is literally the origin of even the naturally occurring anabolic steroids. But how did this come to be known? And where did it all start? These questions are integral to understanding Testosterone and its role in the human body. For thousands of years, since the beginning of civilization, it was clearly understood that the testicles played some kind of key role in the maintenance and development of the male gender and male characteristics. Although its specific role or cause was unknown to humans until approximately 130 years ago, it was understood that there was something about them that contributed to strength, virility, masculinity, and male traits in general. This could not only be observed in humans, but in animals as well. Although there are subtle differences in animal behaviour between the sexes, there are distinct differences between females and males, as well as a distinct difference between the developmental period before and after puberty (which has been linked to observable changes in testicular size and function). Furthermore, it has been observed by many societies and cultures over the thousands of years that the removal of the testicles resulted in the removal of most or all of these typical male characteristics: loss of strength, loss of muscle mass, reduced drive and aggression, etc. Even the ancient Greek and Roman Olympic athletes would consume extreme quantities of sheep and bull testicles, as they observed a significant increase in performance when engaged in this regimen. It was in the 1930s when the core component/ingredient that originated in the testicles, which was responsible for all of these traits was discovered: Testosterone. Adolf Butenandt identified, isolated, and synthesized Testosterone in the early 1930s, which would forever change many aspects of medicine, and of course athletics. 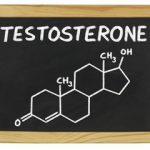 Following the isolation and identification of Testosterone, research and testing continued in order to manipulate the properties of the hormone. Upon its first isolation, the very first preparations of Testosterone created (Testosterone suspension) were crude and impractical for regular use. Testosterone on its own, pure and unmodified in any way, expressed properties that were too inconvenient and impractical for regular clinical, medical, or even athletic use. First of all, being that it is not very soluble in oil, it had to be suspended in water within microcrystals. Such an injection preparation, known as Testosterone suspension, was far too painful to inject on a regular basis. Furthermore, the half-life of pure Testosterone is approximately 6 – 12 hours, which necessitated either daily or multiple times per day injections. It was not long afterwards during the 1930s that it was discovered that different carboxylic acids could be bonded (via ester bonding) onto the 17-beta hydroxyl group of the steroid structure, which would extend the half-life and release rate of the hormone. The shorter the ester bond, the shorter the half-life is granted to the hormone. The longer the ester bond, the longer the half-life. One of the first esterified formats of Testosterone (also known as a Testosterone ester) was Testosterone Propionate, a fast acting variant that exhibits a half-life of 4.5 days. Although this was much longer than pure Testosterone’s half-life, it was still not very practical for medical use. 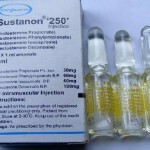 Testosterone Propionate, however, has gained much popularity among athletes and bodybuilders due to the fact that because it is a fast acting variant of Testosterone, blood plasma levels build up in the body quite quickly, resulting in a quicker onset of physique and performance changes and effects. Schering AG was the first company to market and release Testosterone Propionate onto the prescription market. It is still in wide use today by bodybuilders and athletes, though it is the least popular variant. There also exists Testosterone Enanthate and Testosterone Cypionate, two long-acting Testosterone esters that each possess half-lives of 7 – 10 days and 10 – 12 days respectively. The two are almost considered the exact same due to the very similar half-lives. Testosterone Enanthate is of European/international origin (originally manufactured as Testoviron by Schering), while Testosterone Cypionate is of American origin (originally manufactured as Depo-Testosterone by Upjohn). There were also developments of products which contained blends of different Testosterone esters, such as Sustanon 250 and Omnadren. The availability of different types of Testosterone products for athletes and bodybuilders is very extensive. 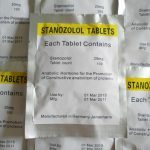 Contrary to what might be commonly touted in internet message boards, forums, and common chatter among anabolic steroid users in gyms, the ester that is affixed to Testosterone (or any anabolic steroid for that matter) serves only to augment the release rate and half-life of the hormone. Esterification does nothing to alter the pharmacology of the hormone itself within the human body. In order for that to occur, direct modifications to the integral parts of the chemical structure itself must occur, which would result in Testosterone becoming a new anabolic steroid – it would no longer be Testosterone any more. Testosterone, as previously mentioned, is available in a plethora of different forms and product types on the black market. In addition to the traditional variants such as Propionate, Enanthate, Cypionate, Sustanon, etc. there also exist other more rare variants that have in recent years been appearing on the market, such as Testosterone Acetate or other blends. 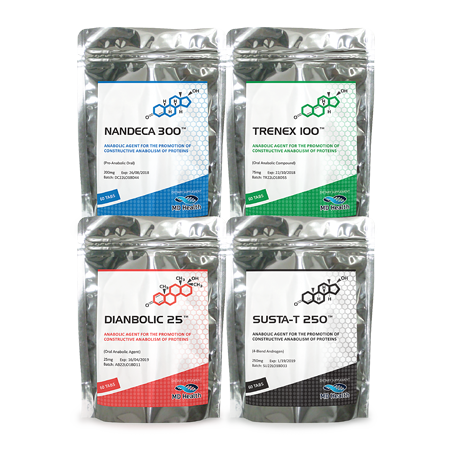 These are mostly Testosterone products of underground lab (UGL) origin, as they are for the most part customized products manufactured for athletic and bodybuilding use. 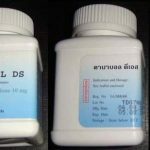 Testosterone itself is perhaps the most versatile anabolic steroid that can be utilized for any purpose to suit any particular cycle type or goal. Mottos such as “Test is best” have long since been echoed among the anabolic steroid community for many different reasons. Testosterone cycles can be anything from cutting or pre-contest cycles to bulking, strength, and/or lean mass cycles. Testosterone cycles can range anywhere from 8 weeks to 16 weeks or longer, depending on the user’s goals. Testosterone cycles can include just Testosterone, known as Testosterone-only cycles, or they can include other compounds to be stacked with. The type of Testosterone used in a cycle can be dependent on many different factors, some of the most common of which are: type of other compounds used, esters used, and goals. Typically, for example, Testosterone Enanthate or Cypionate is commonly stacked alongside anabolic steroids of similar half-lives, such as Deca-Durabolin (Nandrolone Decanoate) or Equipoise (Boldenone Undecylenate). Both Deca as well as Equipoise possess longer half-lives upwards of 14 days, which are typically best used with a Testosterone ester variant of a similar half-life, such as Testosterone Cypionate or Enanthate. Other Testosterone cycles can include short estered variants that are stacked with one another. Some examples include cycles that include Testosterone Propionate, which would be stacked with compounds such as Masteron (Drostanolone Propionate), Trenbolone Acetate, or injectable Winstrol (Stanozolol). All of these types of anabolic steroids express shorter half-lives in the range of 3 – 5 days (or in Winstrol’s case, 1 day) and a short estered Testosterone such as Propionate would complement these very effectively. Testosterone can also be stacked with oral compounds as well (remember that Testosterone blends, mixes, and stacks well with almost anything and is very versatile). Most commonly, oral compounds are used alongside long-estered Testosterone variants such as Enanthate or Cypionate. They are normally used for the first 6 – 8 weeks of the cycle due to the longer amount of time required for the longer-estered Testosterone variants to ‘kick in’. This is because the longer half-lives facilitate a slower rise in blood plasma levels until they are at peak optimal levels. Once they reach this point, gains are typically experienced (normally the 4th or 5th week). The oral compound used (such as Dianabol, for example) allows the user to experience gains during the first several weeks while the long-estered Testosterone builds in the system. In order to reduce the Testosterone dosage whilst still observing effective gains, this is when it should be stacked with other compounds. Some individuals do not respond very well to Testosterone doses due to sensitivity to Estrogen-related side effects (and even androgenic side effects). 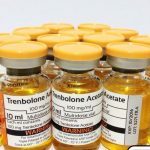 Such users would do well to reduce the Testosterone dosage and insert other anabolic steroids into the mix (typically compounds that are less androgenic and less estrogenic) at higher doses.